Ships today if you order in the next 1 hours 14 minutes. 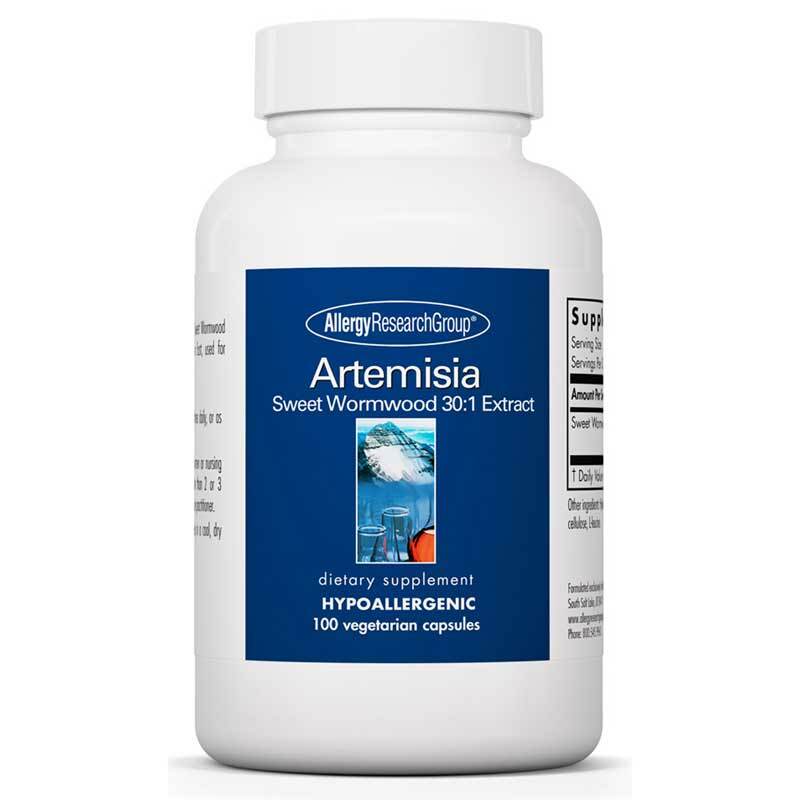 Artemisia by Allergy Research is an herbal antimicrobial supplement that contains a concentrated extract of the leaves of Sweet Wormwood (Artemisia annua), an herb from the Far East, used for centuries in China. 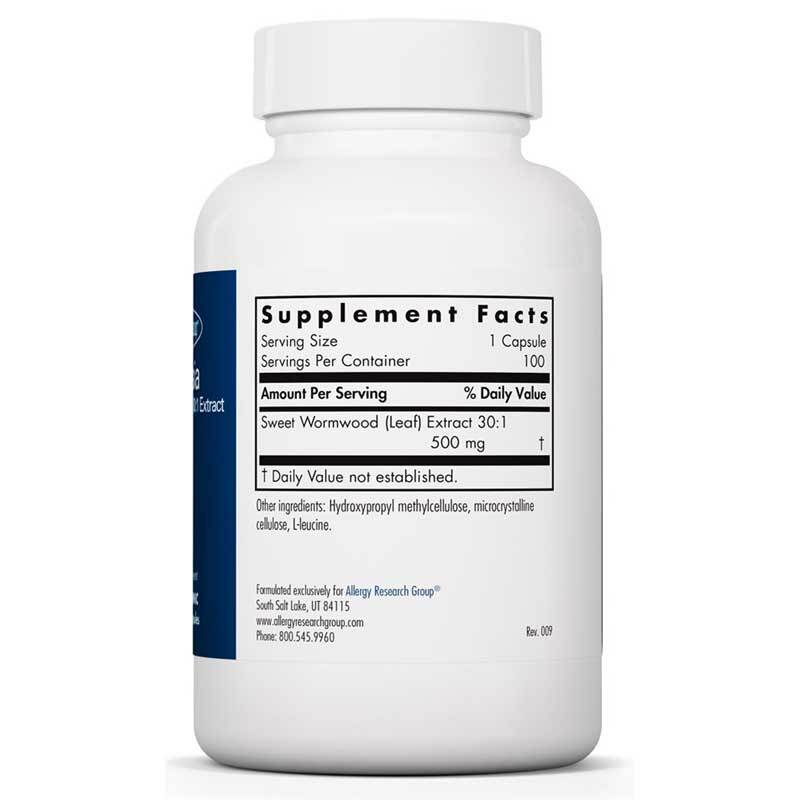 Other Ingredients: Hydroxypropyl methylcellulose, microcrystalline cellulose, L-leucine. Variations in product color may occur. Keep in a cool, dry place, tightly capped. 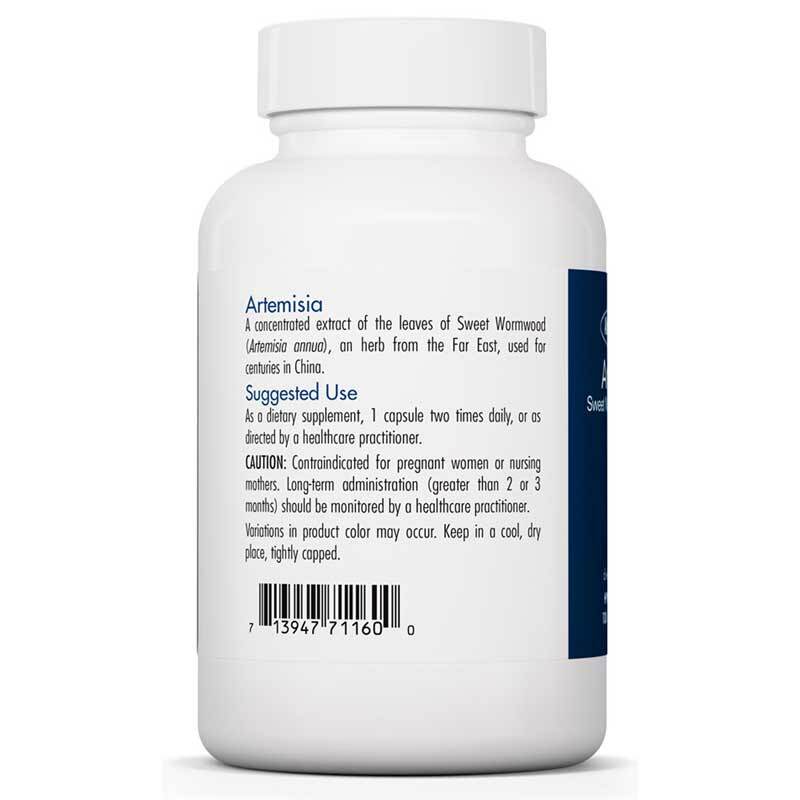 Adults: As a dietary supplement, 1 capsule two times daily, or as directed by a healthcare practitioner. Not indicated for pregnant women or nursing mothers. Long term administration (greater than 2 or 3 months) should be monitored by a healthcare practitioner.